NKOK-Singer Knitting Machine. Perfect for beginner knitters! Knit cool fashion accessories like hats scarves socks and leg warmers! 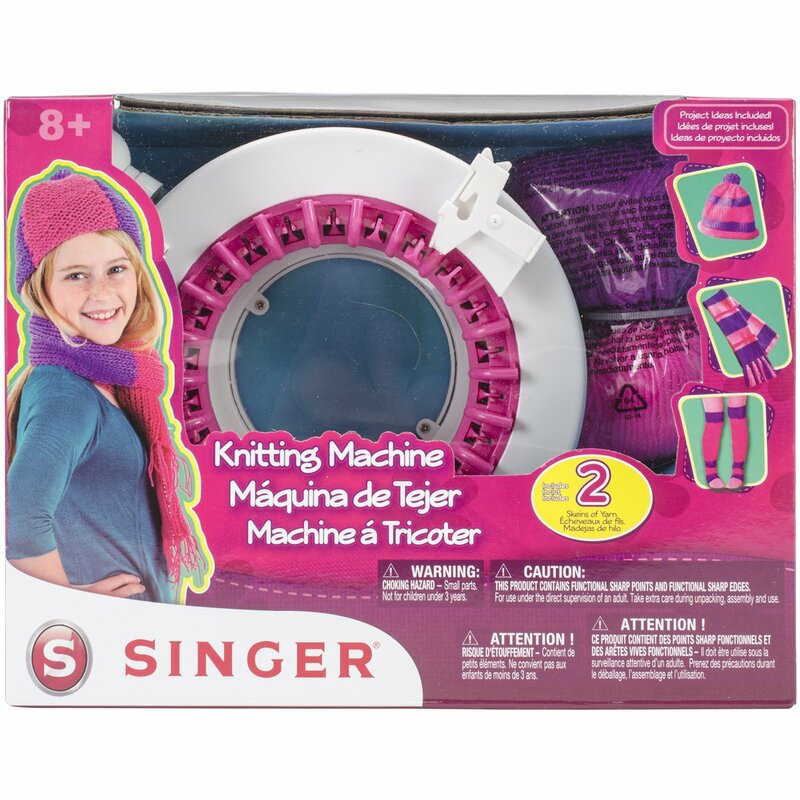 This package contains one knitting machine two skins of yarn one knitting hook one knitting needle and instructions. Recommended for ages 8 and up. WARNING: Choking Hazard-small parts. Not for children under 3 years. Conforms to ASTM F963. Imported.